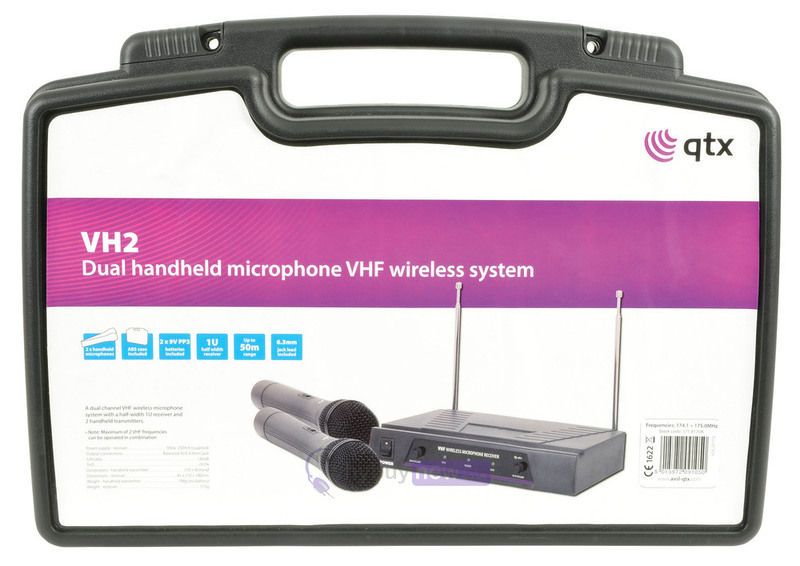 The QTX VH2 is a high quality dual hand held wireless VHF microphone system that includes a half-width 1U receiver and 2 hand held transmitters. This fantastic system can be used at a range of up to 50 metres and comes with batteries and a jack lead included. 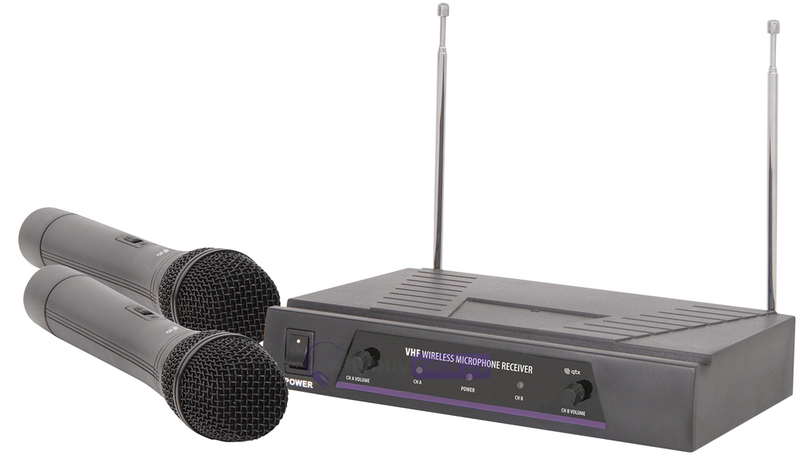 This value for money microphone set is ideal for live performances, mobile DJs and karaoke setups, and comes in a choice of two frequency ranges (174.1 + 175.0 MHz and 173.8 + 174.8 MHz). 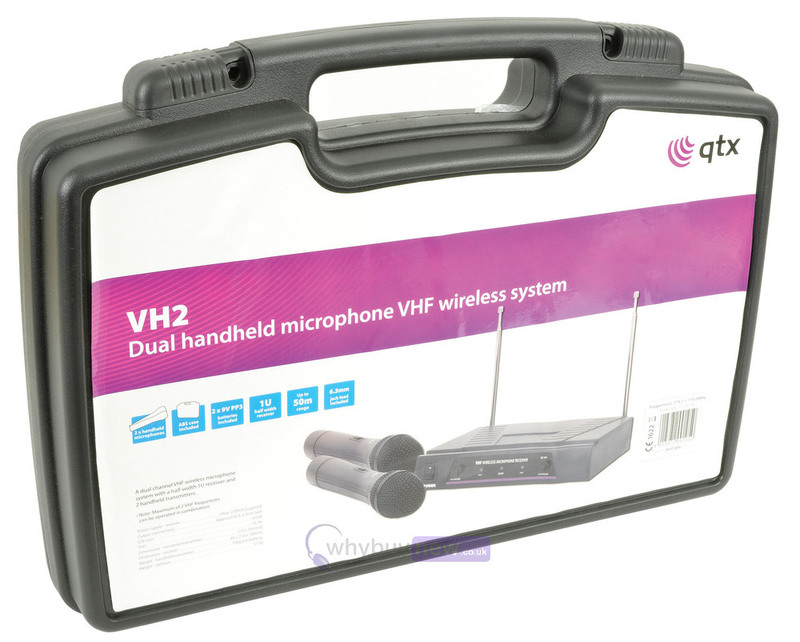 Here we have QTX Sound VH2 VHF Microphone System in brand new condition and in B-Stock. 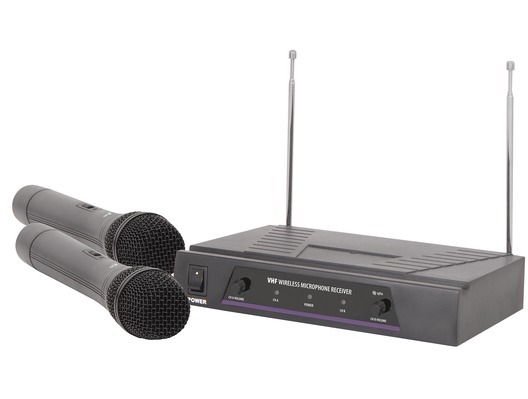 The B-Stock version is the 17.4 + 175.0 MHz frequency and would have been on display at a training evening or trade exhibition only and will come boxed 'as new' with all accessories and a 1-year warranty. Please note that the case has some cracks in it (at the bottom and sides).